The United Nations envoy tasked with helping to resolve the conflict behind the recent fighting that has engulfed the east of the Democratic Republic of the Congo will launch a dialogue next week in Nairobi between the DRC’s Government and the rebel group known as the National Congress in Defense of the People (CNDP). 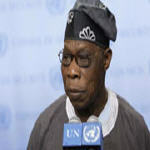 Set to kick off on Monday, the talks will be facilitated by Olusegun Obasanjo, the Secretary-General’s Special Envoy on the Great Lakes Region and former Nigerian president, and Benjamin Mkapa, representing the African Union (AU) and the International Conference on the Great Lakes (ICGLR), who is also the former president of Tanzania. The agreement to launch the discussion comes after the their recent talks with regional heads of State, the Congolese Government, the CNDP and other armed groups in which they appealed for dialogue and respect for the ceasefire to allow for humanitarian assistance. Escalating conflict between the FARDC and the CNDP has uprooted an estimated 250,000 people in the past three months, mainly in North Kivu province, which borders Rwanda and Uganda. Other armed groups, including the Mayi Mayi, have also been involved in deadly clashes, some of which have been along ethnic lines. The UN peacekeeping mission in the country, known by its French acronym MONUC, has welcomed the decision to hold the talks, as well as the agreement to normalize bilateral diplomatic relations and regional economic cooperation between DRC and Rwanda. MONUC said it will have to review the operational plan between the two nations to disarm the DRC-based Democratic Forces for the Liberation of Rwanda (FDLR), a mainly Hutu rebel group. It was announced yesterday that MONUC seeks to press FDLR fighters to leave a town near the Ugandan border they recently entered. The mission disputed information in some news reports that FDLR had systematically redeployed to “fill in” positions vacated by the CNDP, although they had entered the town of Ishasha in north-eastern North Kivu. Meanwhile, the UN refugee agency today said that over 90,000 internally displaced persons (IDPs) taking shelter around Rutshuru, 80 kilometres north of Goma, North Kivu’s capital, cannot be accounted for. For the first time, the UN High Commissioner for Refugees (UNHCR) was able to visit three former makeshift camps now that the security situation has calmed down. “As we feared, we found these sites empty,” agency spokesperson Ron Redmond told reporters in Geneva. Three UNHCR-run sites in the area “were forcefully emptied and destroyed some weeks ago,” he said. Some of the 5,000 IDPs who took sheltering around the MONUC base in the area told UNHCR that they are afraid of reprisals and do not want to return home. “They alleged numerous atrocities and summary killings,” Mr. Redmond said. UNCHR has passed out emergency aid supplies to over 10,000 in need in the destroyed camps around Rutshuru, and has delivered relief items to tens of thousands of others in surrounding areas. There have been reports by local authorities in Orientale province, just north of North Kivu, that 2,000 IDPs who fled attacks by Uganda’s Lord’s Resistance Army (LRA), a notorious rebel group that has waged war against Ugandan Government forces since the mid-1980s. The UN Office for the Coordination of Humanitarian Affairs (OCHA) today estimated that over 83,000 Congolese have been uprooted due to LRA violence since mid-September, with some 6,000 fleeing to southern Sudan.